Place the bourbon, honey and lemon juice into a mug. Add the boiling water and dash of bitters. 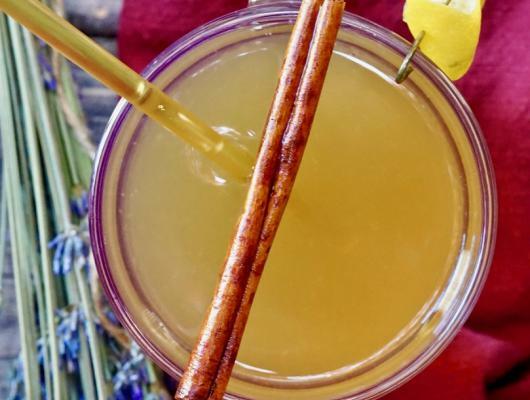 Garnish with a lemon twist and honey stick. Stir well and serve. 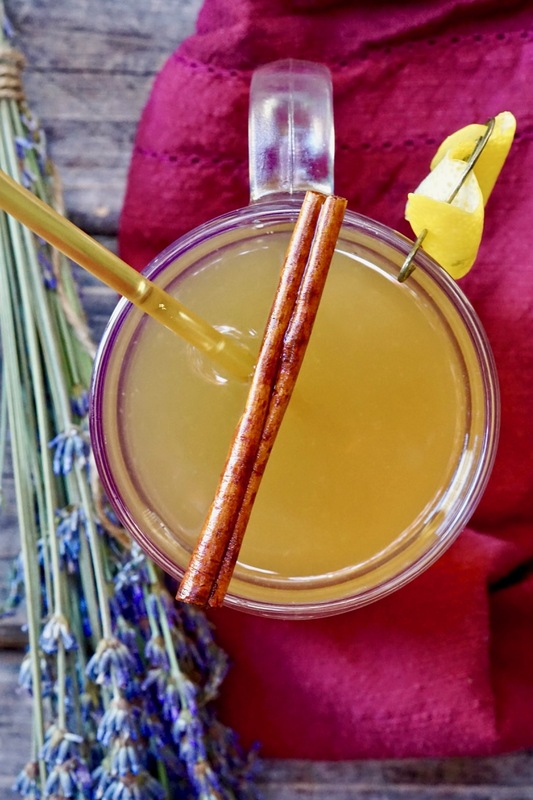 A Hot Toddy known as a "hot whisky" in Scotland, is a tasty winter night cap some believe may even ease the symptoms of the common cold.